Small - to fit waist 30" - 32"
Medium - to fit waist 33" - 35"
Large - to fit waist 36" - 38"
Our boxer shorts are made by a local tailor, Noor in Fort Cochin. He works in a small stall at the side of the road; and we have introduced him to the principles of fairtrade. Having been impressed by his skills and the quality of his workmanship, it has been good to help him build a better life for his family. The opportunities and pay we provide means that he is benefitting from these principles, and his work is much admired locally. 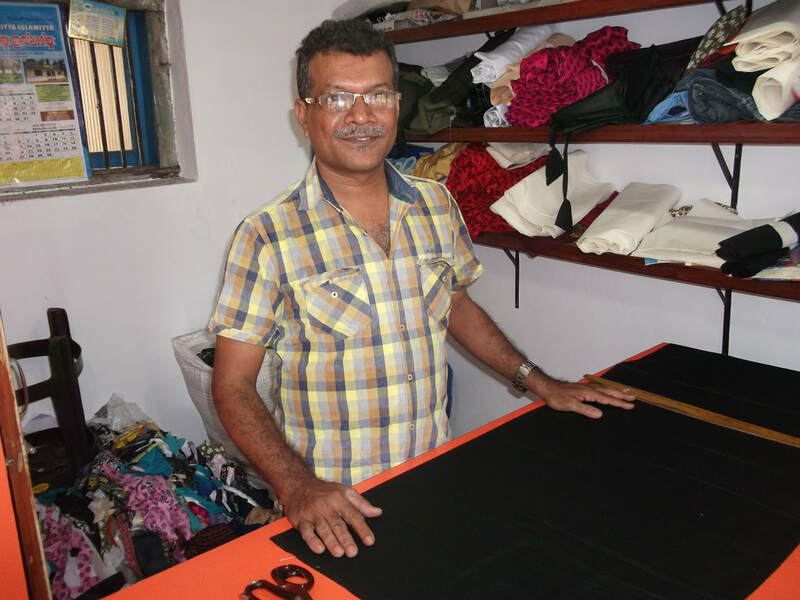 By doing some extra work for Kerala Crafts, in addition to his local tailoring, he has now made considerable improvements and modernisation to his home, which benefits the whole family. This has helped to prevent him having to seek work in the oil rich Middle East, as so many Keralites are driven to do, but which has such far reaching implications for the strong family-based structure of traditional Keralan families.